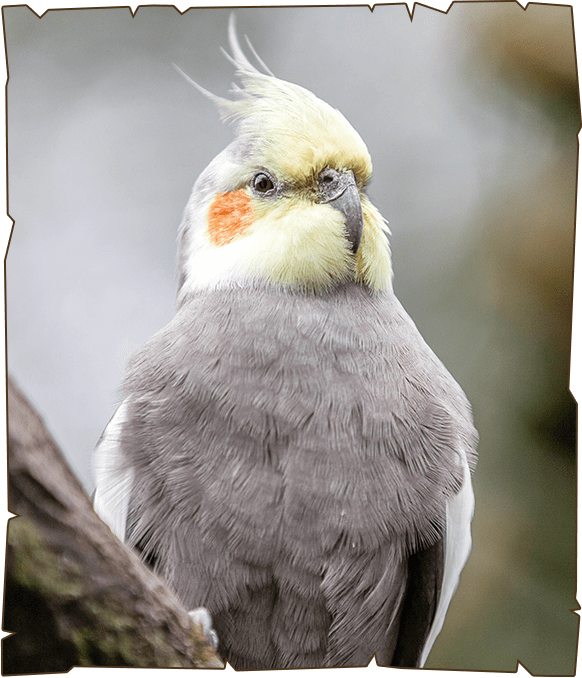 A member of the cockatoo family, the Cockatiel is endemic to Australia. It is the only member of the genus ‘Nymphicus’.They favour the Australian wetlands, scrub lands and bush lands. Their diet consists of mostly fruits, vegetables, pellets and seeds. They live for a span of about 16 to 25 years. The males are known to be more musical, whistling for prolonged periods of time, whereas the females remain fairly quiet and screech only when provoked.